We love watching our Cavoodle puppies be born, reared and grow into happy and healthy 8-week old pups. Thanks to social media and our extended families, we can watch our puppies grow up having happy and pawsome lives! Here, families have shared with us just some of the many milestones and happy-snaps of their beloved Banksia Park Cavoodle! For more information on our Cavoodle breed visit here. Bentley all snuggly and ready for winter! Doris loving cuddle time with her family! Bronte, DOB: 10/10/18 @bronte.thecavoodle She’s the most beautiful terror ever! This is Betty our 11month old Cavoodle! Parents= Flash and Ned @betty.and.earl. This is Ethel. We call her “the puppy that forgot to grow”. Ethel will be 2 in April and she is still only 4.4 kgs. We cannot go anywhere without this poppet creating a crowd. Mum is Ashton and Dad is Bob. A prettier girl will be hard to find. (Totally unbiased of course). Love having her in our life. Feature article: My oodle is shedding! Welcome to Banksia Park Puppies second feature article! This feature article has been written by Matt Hams, the owner and manager of Banksia Park Puppies. This article is focusing on the difference between puppy and adult coats, and how best to deal with them as an owner. Thanks Matt! At Banksia Park Puppies we often get questions a month or even up to 4 or more months after one of our customers has brought home their puppy, and they exclaim ‘ah! I wanted an oodle dog so that he/she doesn’t shed…. why is my puppy shedding?!’. We’re going to a little bit into what a puppy coat is, why it sheds, and how you can deal with this part of their life. What is a puppy coat? It is sometimes unknown to new puppy owners that all puppies actually have what is called a ‘puppy’ coat that they lose before they get their full adult coat. This is a really soft fur that covers their body, and is intended to help keep them warm and to protect them from the elements when they’re only little. Each puppy’s coat will be different to another puppy’s, and it will also be different in some ways to their adult coat which will eventually replace it. Every puppy (yes even puppies who are ‘non-shedding’) will lose their puppy coat. When will my puppy lose it’s puppy coat? Every puppy is different, but expect your Banksia Park Puppy to start losing it’s puppy coat anywhere from 12 weeks up until about 6 months old. It really depends on your puppy. It will begin to be replaced by the adult coat over this time. This adult coat will be fuller and thicker, and may not be as soft or look exactly the same as the puppy coat. Your puppy should not be sore or uncomfortable during the shedding process. While shedding a puppy coat to make room for it’s adult coat is a normal part of a puppy’s life, there are some things that you should look out for in case the shedding is related to a more serious issue. Below is a list of things to look for which would suggest more than the puppy coat shedding, and in these cases we would suggest you take her to your vet for assessment. Skin that looks sore and has bumps, a rash, is inflamed or red or otherwise doesn’t look ‘normal’. Puppy coat shedding will not hurt your puppy, so if your puppy’s skin looks ‘sore’ or like any of the above, this may suggest a more pressing issue like fleas, mites or parasites. It is really important if you are worried to go and see your Vet to have your puppy checked out in more detail. What can I do to stop my puppy from shedding? Unfortunately you cant actually stop your puppy from shedding over this time. But you can help minimise it, and you will also be happy to know that the shedding from a puppy to an adult coat only happens once! To minimise the shedding and it’s impact on your life, brush your dog very regularly (every day for 15 minutes or more!) over the initial few months of his or her life with you, and when he or she is likely to be shedding. There are a few great reasons – detailed below – why you should brush your dog over this time. Your dog if brushed alot over this time, will get really used to you brushing him and this will allow you to brush him regularly throughout his life. It’s a fantastic bonding opportunity for you and your puppy where you can dedicate 15 minutes every day just to patting and brushing him! You will stop the hair from going all over your house as alot will come out in the brush while you are brushing him, so you will minimise the impact on your house and furniture. As the hair comes out in most ‘oodle’ dogs like our cavoodles, spoodles and groodles, the curly hair may mean that as this puppy hair gets tangled in the other hair your puppy still has. This can result in matting which can occur VERY quickly. By brushing your puppy’s shedded hair out of his fur, it will help ensure his coat doesn’t become tangled, which can result in more pain for your puppy if the matting is not dealt with quickly. 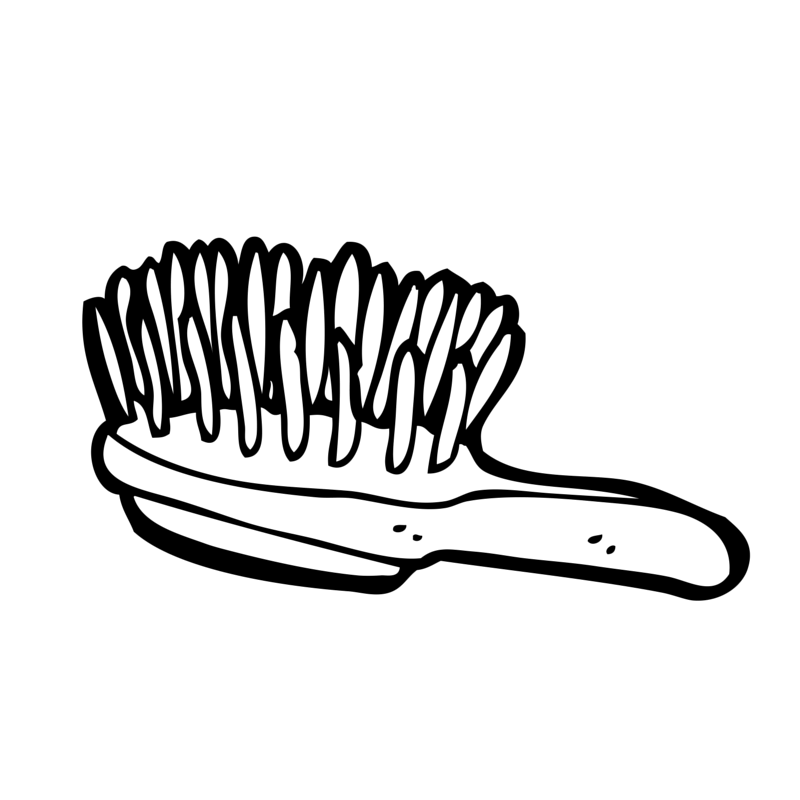 By brushing the hair, it will encourage more shedding, which will help the shedding phase be over much quicker! Our advice over this time for these reasons is to contact Pines Puppies and get a brush that is suited to your particular dog and it’s individual hair/fur and brush brush brush! Will my adult oodle shed her hair? Dogs shed their adult hair as a result of various things, but the most prominent reason is due to their breed. We breed our ‘oodles’ (cavoodles, spoodles, groodles etc) for their lovely temperament, the ability of these dogs to fit into your lifestyle, and of course their extremely low shedding coat. We know that Australians want their dogs inside their homes (did you know that around 76% of dogs in Australia* are now allowed inside?) and for this reason we breed dogs who shed as little as possible. It is important for an oodle dog owner to know though, that there is no dog that does not shed at all. Dogs are the same as humans and nearly every other mammal on the planet and they do shed hair, but we reduce this to as little as possible by breeding with the correct selection of parents. Our oodles are extremely low shedding – so much so that we’d expect you to be able to wear white pants with a chocolate oodle and you wont see any hairs on your pants. We know that this is what our customers want – to have your dog inside, on your bed, on your couch or pat them on your lap! We breed our dogs so that you have puppies and then dogs who perfectly fit into your house and your lifestyle. Be VERY wary of any breeder who tells you that their dogs are ‘completely non-shedding’, or ‘a rare breed that does not shed at all’ – this breed of dog does not exist. If at any time you are concerned about your puppy’s shedding, please make sure you contact the team at Pines Puppies, or us at Banksia Park Puppies, and we can help talk you through your questions. The two Banksia Park Puppy siblings! At Banksia Park Puppies we simply love hearing stories like this one. We have alot of people asking us for photos of their puppy’s parents – we love this and wholeheartedly encourage it (fill in our parents form if you want to see the parents of your puppy)! We especially like to hear that kids in the family have been asking and want to see who mum and dad are and where they are from. It’s great education for them. So recently we had a great story come into us when a customer (Katie) asked to see photos of mum and dad. Their puppy (Molly) joined their family in 2012. She did see a photo of mum then, but wanted to see more and learn a bit more about her, and where her Molly spent the first part of her life. After a conversation with Katie we found out that Molly has a sibling (Bella) that she hangs out with! They didn’t see each other for a while after leaving us, but after settling in with their new families, they met up, and apparently instinctively knew each other on first sight! They then went on to puppy school and dog training together, and have regular hang-out sessions! Apparently they get along amazingly, always looking for each other in the sessions… and when they leave each other they get sad! What a great friendship. It’s so wonderful to hear that our puppies have such great families to spend their lives with, and some who even get to hang out with their siblings. We love hearing these types of stories, and that “Molly has been an absolute gem in the family and if she could would not leave my side (is so loyal!)”. We thought everyone would like to see our agility yard and the fun our dogs have, through the eyes of our dogs! Here is a video for you all showing our Agility yard at Banksia Park Puppies through the eyes of Taylee the Cavoodle!